In this book, Douglas Sloan explores the impact that the Protestant theological renaissance had on American colleges and universities. 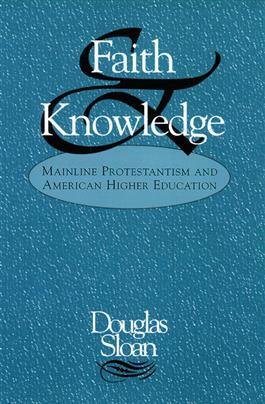 In particular, Sloan focuses on the church's most significant claim to have a continuing voice in higher education: its particular ability to demonstrate a connection between faith and the dominant modern conceptions of knowledge. Sloan looks at the ways the mainline Protestant churches did, and did not, deal effectively with this faith-knowledge situation and the subsequent cessation of the church's large-scale engagement with American higher education.